he bring my boyfriend back i am Mary and i want to thank Dr.henry olu for bringing back my ex boyfriend, we broke up for more than 8 month and he told me that he will never want to see me in his life again. i love him so much to the extend that i could not think of dating any man again, i was confused and depress due to the love i had for him.i did everything i could do to have him come back to me but all went in vain. so i decided to contact a spell caster, i did not believe in spell casting i just want to try it may be it would work out for me. i contacted dr henry olu for help,and he told me that he have to cast a love spell on him, i told him to do it. after 5 days my boyfriend called me and started to apologize for leaving me and also he told me that he still love me. i was very happy and i thank dr henry oul for helping get back my ex back to my hands. 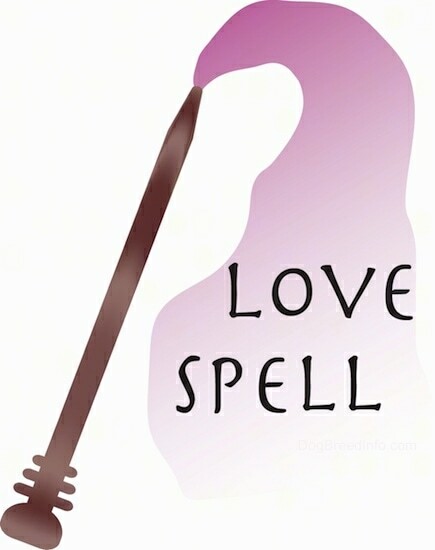 his spell is the greatest of all over the world, it was the love spell he cast on my ex that make him come back to me. 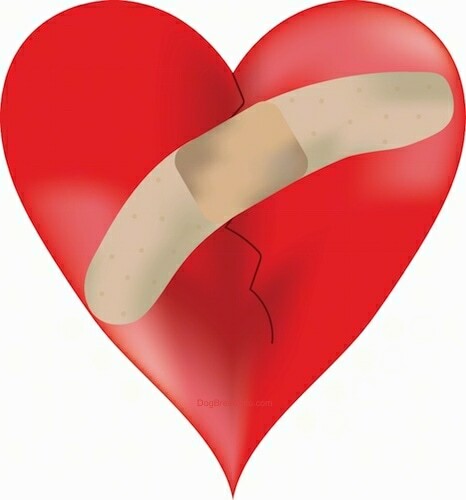 all you ladies who want back their ex back i want you to contact Dr.henry olu for the return of your ex boyfriend and also your ex girlfriend he can also cast any kind of spell you want him to cast for you. his contact email is 0000000000@00000.com just try him and their will be a solution to your case. Am sorry to bother you with this mail, but I'm out of the country in Philippines and found myself in a terrible situation which i really need to take care of now, I had my bags stolen from me and personal belongings.. I have tried to sort things out with the necessary authorities but nothing is really working out, the bad news is my flight will be leaving very soon. I really need a quick loan from you Please. How are you doing? I hope this message finds you please get back to me as soon as you received this (It's a matter of Urgency).I'm in a terrible situation. I came down here to Manila, Philippines for a program, last night on my way back to my hotel room I was robbed at gunpoint, my wallet and other valuables were stolen off me, leaving my passport and life safe.I will appreciate whatever you can assist me with. I've contacted my bank and the embassy, the embassy is willing to assist me but my funds are depleted to pay for a new passport fees and other miscellaneous expenses. I don't have access to my account over and My bank said it would take 5 working days to access funds from my account. Please can you lend me some funds? I'll pay back, as soon as I return home. I'm writing this with tears in my eyes,My family and i came down here to London,England for a short vacation and we were mugged at gun point last night at the park of the hotel where we lodged all cash,credit cards and cell phone were stolen off us.I've been to the US embassy and the Police here but they're not helping issues at all,My flight leaves in hew hrs from now and am having problems settling the hotel bills.The hotel manager won't let me leave until i settle the hotel bills now...Well I really need your financial assistance..Please, Let me know if you can help us out? Am freaked out at the Moment. The email IP is 41.155.104.36, which shows it coming from NG, Nigeria, Africa. Typical for these types of scams. my love, thank you for your letter. As always I was very happy to see your news. I'm always interested to know what's going on with you. I'm always interested in your thoughts. Because I really love you. That's why I want to meet you soon. I want to be around you, that we could spend time together. I wish that we could talk to each other about everything. You're going to tell me something. I'll talk to you as well. We will spend days and nights. We will love each other a lot. Do you want this? We are and will always do together. You're going to show me various interesting places in your town. I really want to be with you soon. I believe that we communicate with you for a long time, you know I love you. And when I read your letters, I feel that you answer me in return. This is the most beautiful feeling - love. Do you agree with me? But my love, why do not you say anything about our meeting? You know what I really want to come to you soon. But you ignore all my letters about the meeting. Of course, I love you get from romantic letters. But now I want to meet you in person. Letters can never replace a real meeting. Letters will not be able to show you all the power of my love for you. Only meet in real life could do it. Or do you think differently? Please answer me! I want to see a concrete answer to my question. Write me your thoughts. Do not ignore my questions! You promised me that we will soon meet again. And I signed a contract with a travel agency. Now I'm not doing this deal. Because I can not get from you a specific answer. Do you still want our meeting? You're going to help me? I need the exact date when you can pay for my trip to you? And I'll tell it to the agency. If payment is not effected in the near future, then I'll have to pay fines. Since I do not fulfill the contract. Do you understand that? Please answer me all of my questions. I should receive a response. I love you. I want to be with you soon. I miss you. My dear now I that you to see ready to be with me! And as is ready to help me that we with you to be together. Now I will give to you data of the agent which your help through Western Union and by that we to pay my documents can accept. And As soon as your money to come, I can receive my documents and go to you! Here data of the agent! As I ask you to send to me a transfer copy that I could show to its agency. Now I wait for your letter. You know, I have understood now, that you play with me. It was very ridiculous, as you to mock! You to receive from it pleasure??? You do not think, that I the silly woman, and that I will ask now you a normal copy. I have understood, that you to play, and play further but not with me!!!!!!!!!!! I'm writing this with tears in my eyes,my family and I came down here to (Belfast)United Kingdom , for a short vacation unfortunately we were mugged at the park of the hotel where we stayed. All cash, credit cards and cell was stolen off us but luckily for us we still have our passports with us. I have been to the embassy and the Police here but they're not helping issues at all and our flight leaves pretty soon from now but we're having problems settling the hotel bills and the hotel manager won't let us leave until we settle the bills. your contribution will go along way here. Please be so kind to reply back so i can tell you what to do and how to get some cash to us. Explain why you want a dog? Tell me who in the family will be responsible for the pup's daily care, who will attend training classes, where the dog will spend most of his time? Provide proof from your landlord or condominium board (if you rent or live in a condominium complex) that you are allowed to have companion animals? if truly you are interesting in the puppy, you get to me with your information so that i can get the baby register for the Next Day Shipment. All i will need you to do right now is get back to me with your address so as to start off with the shipping arrangement. The puppy is up to date on shots,current in vaccination,vet checked,coming with crate,kits and dolls and never had any health problem in the past. he is 10 weeks and 4 days currently now. he is well socialized,potty trained,shots up to date,dewormed,vet checked with health certificate,crate trained and in a flawless and perfect health condition.It will be my happiest day to see the pup shipped to a good Christian home because that is what i have always wanted all this while.I will be waiting to read back from you so as to know when then puppy will be shipped.Thanks and God bless you. I am Paul George, I am ill and would die having been diagnosed with cancer disease. I want to distribute my funds to charities in your country through you. And many others that I do not have advantage of posting here. Do get in touch with me immediately to conclude this final transaction immediately, and also send to me your convenient address, Tel/Fax numbers for easy communications.